Before you get ready to watch the Eclipse this morning, check out this beauty: Pergola! It is finished and I think it turned out so beautiful! Pergola measures 83" square with each block finishing at 15". 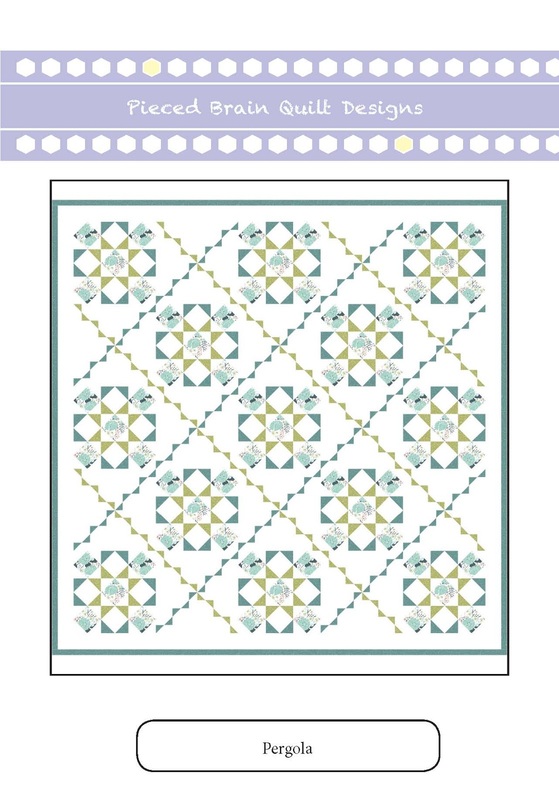 The pattern is downloadable as a PDF file from my Etsy store Quilterly. It has lots of diagrams and photographs to help with the construction of the blocks so you can finish your own version in no time at all. I love the chain blocks - they allow plenty of negative space to emphasize the feature blocks. You make them with simple machine piecing and not templates. 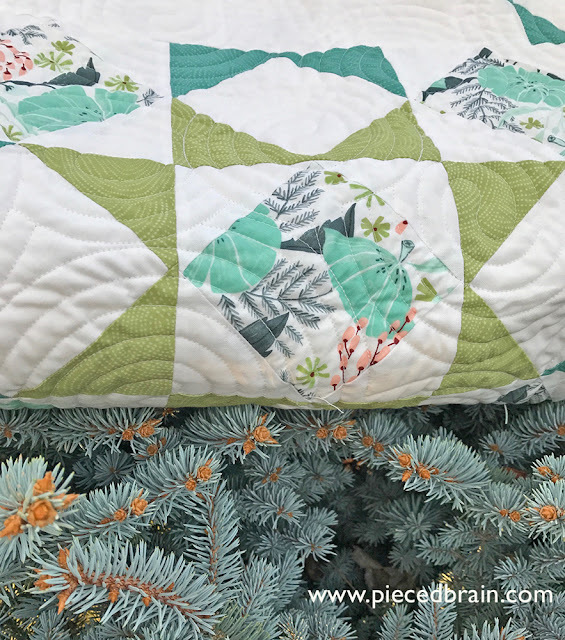 For this quilt, I used the Perch fabric line by Dear Stella. 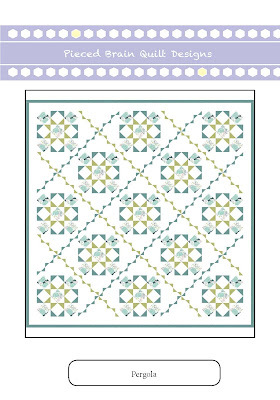 You've seen this fabric line before on my pattern called Nature Sweet, also at Quilterly. 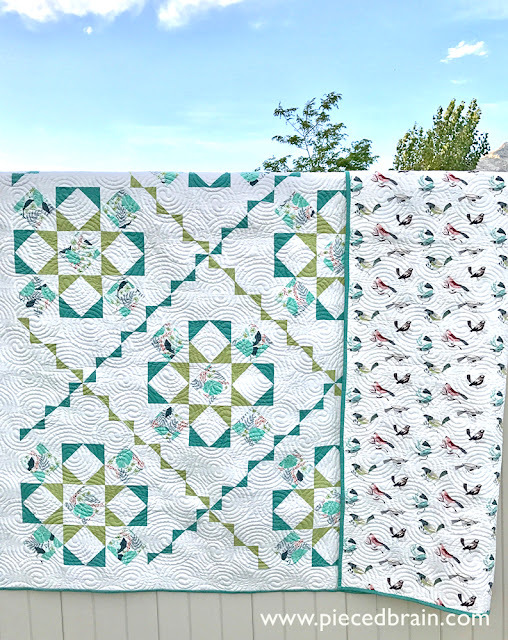 I just can't get enough of the teal, pistachio, birds, bugs, and florals Ray Ritchie designed for them! It was pieced entirely with Aurifil 50 wt. thread in white. 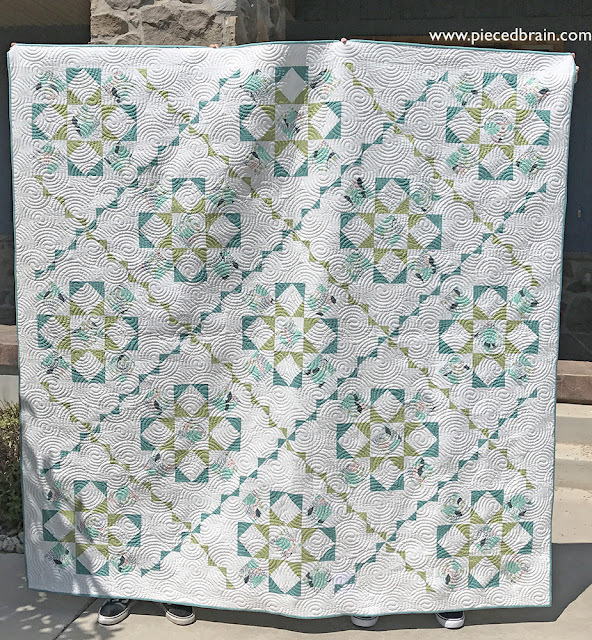 It was quilted by Melissa at Sew Shabby Quilting. The circle pattern contrasts nicely with the straight lines of the blocks, adding amazing texture to the quilt. Thanks again, Melissa! Pergola would look gorgeous using solid colors or your favorite prints. A neutral background such as white, gray, or low volume print will make the design stand out. Conversely, use a print background with bright solids on the blocks. If you are undecided, check out the fabric selections at Fat Quarter Shop - I am sure you will find yardage or one of their exclusive bundles which will be perfect for this pattern. Be sure to send me a photograph of your version of Pergola - I would love to see it and show it off on the blog. For now, enjoy history in the making up above us, and then sew away! This is the cutest pattern! The fabric also goes so well with the design.